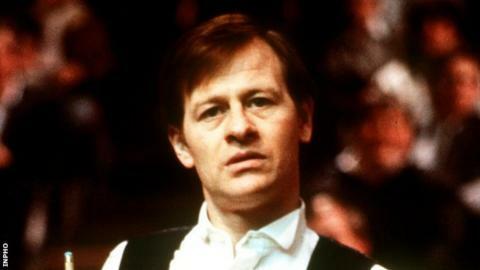 The trophy for the new Northern Ireland Open is to be named after two-time world champion Alex Higgins. Higgins, one of Northern Ireland's best-known sportsmen, died in 2010. The event, with a £70,000 first prize, will be part of a Home Nations series and takes place from 14-20 November at Belfast's Titanic Exhibition Centre. "Alex was an extraordinary talent and this is a fitting tribute to one of the game's all-time greats," said World Snooker chairman Barry Hearn. As well as world titles in 1972 and 1982, Higgins won the Masters twice and the UK Championship. The Belfast man was known for his exciting style of play and was credited with helping bring snooker to a wider television audience. The Northern Ireland Open will feature 128 players, including five-time world champion Ronnie O'Sullivan, current world champion and world number one Mark Selby and world number four Judd Trump. On Monday, World Snooker announced that the English Open trophy would be named after six-time world champion Steve Davis. Any player winning all four Home Nations events will earn a £1m bonus. Read more on Who was Hurricane Higgins?